An INVENTION which may foreshadow a new era in the plastic field of art has recently been developed by Alexander Archipenko, noted exponent of modernistic motif in sculpture and painting. The invention is literally a “moving painting,” being somewhat similar to motion pictures in that it is capable of revealing on its faces many varied designs and paintings, constantly moving, and each one a perfect image. On the one face is the painting of one woman in many poses and costumes, also constantly changing as a score of canvas belts move on a turnstile sort of machinery. 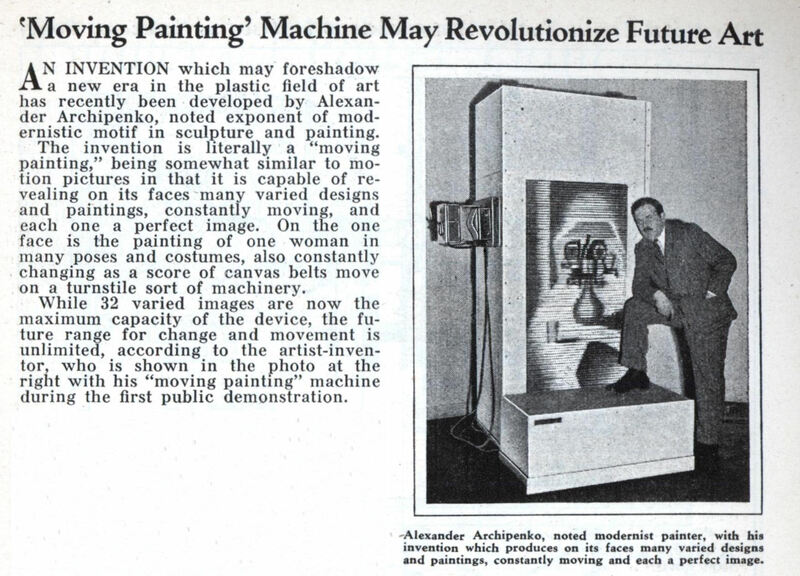 While 32 varied images are now the maximum capacity of the device, the future range for change and movement is unlimited, according to the artist-inventor, who is shown in the photo at the right with his “moving painting” machine during the first public demonstration. 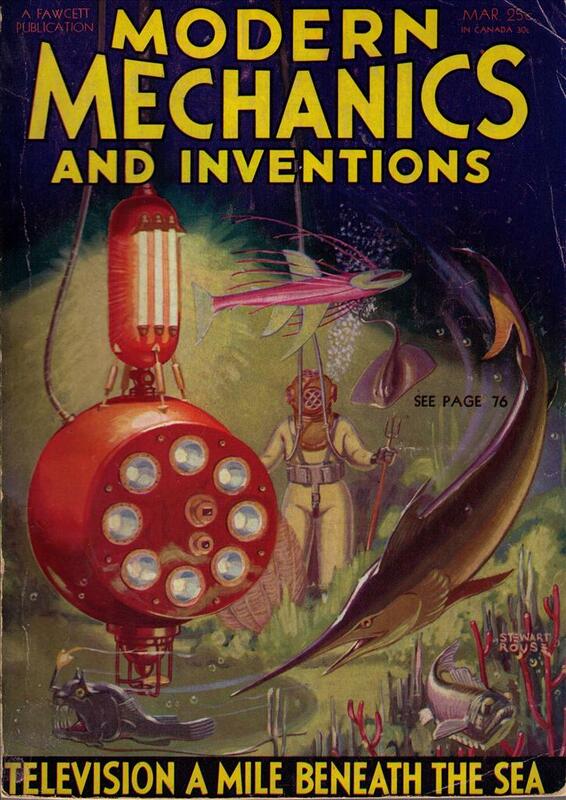 This seems like the same guy (http://en.wikipedia.org…), but I can’t find mention of this art work of his…? I think Hogwarts got one of them.